Professor Jessica Corner to head new School of Health Sciences at Southampton. The University of Southampton is delighted to announce the appointment of Professor Jessica Corner as Head of its new School of Health Sciences. The School of Health Sciences will bring together three of the University’s key healthcare divisions from autumn 2008, with Health Professions and Rehabilitation Sciences, Nursing and Midwifery, and the Health Care Innovation Unit merging to focus on healthcare education, research and enterprise. In creating the new School, the University aims to develop a world-class setting for international thought leadership and knowledge development relating to health care and improving health outcomes, and for the professional development of clinical leaders of the future. The changing national health care agenda – including NHS workforce developments, the role of private sector provision and the widening concept of health and social care – presents opportunities for the University to position itself as a distinctive and forward-looking leader in the field. Jessica Corner is currently professor of cancer and palliative care in the University’s School of Nursing and Midwifery. For the last three years, she has also been the Director for Improving Cancer Services for the charity Macmillan Cancer Support, with responsibility for the charity’s investment in services to improve care for people affected by cancer, as well as its UK-wide network of services and 4,300 Macmillan professionals. Now as Chief Clinician at Macmillan, she advises on the charity’s ongoing direction, vision and strategy, a role she will be continuing. Professor Corner undertook her Bachelor of Science degree in Nursing at Chelsea College, London University, graduating in 1983. She studied for her PhD at King’s College, London, awarded in 1990, and trained as a cancer nurse at the Royal Marsden Hospital, London in 1984-5. Her first chair appointment was as Professor of Cancer Nursing at the Institute of Cancer Research in London which she held for six years before moving to the University of Southampton. She was the first nurse to be awarded the Nuffield Trust’s prestigious Queen Elizabeth the Queen Mother Fellowship in 2001. 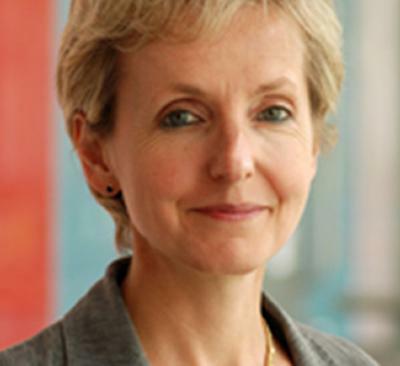 Over the last year, as a member of the advisory board for the Department of Health Cancer Reform Strategy for England, and as chair of the working group on patient experience, she helped in the development of the strategy and is now working on a number of national initiatives to implement the strategy. She has written over 80 papers for academic journals, as well as three books and numerous chapters for edited texts. Among many contributions to the field of cancer care and support, Jessica is best-known for developing a new approach to managing the symptoms of breathlessness in advanced lung cancer by helping people to use breathing control techniques and overcome the fear associated with breathlessness. This non-drug therapy allows people to manage the problem themselves. Professor Jessica Corner said: “I am delighted to be taking on this exciting new role to lead the University’s innovative School of Health Sciences. University Vice-Chancellor Professor Bill Wakeham said: “In setting up a single school for health professionals, the University is looking to the future when health care is delivered in a much more integrated fashion than it is now and in a variety of new settings. Thus we seek to develop and extend our excellent reputation for education and research in the individual professions within health care, while recognising the synergies between them and with other disciplines. “It is our aim to create a School that is at the forefront of the development of new health care models that exploit the variety of talents that have existed in the School of Nursing and Midwifery, the School of Health Professions and Rehabilitation Sciences and the Health Care Innovation Unit. Professor Corner will take up her post on 1 August. The appointment is for a five-year period.